Paeonia Reine Hortense is back. And how! More and more people are starting to rediscover the charms of this dark pink peony. Indeed, this variety is in such great demand that it’s not easy to obtain plants. Fortunately, we have them growing in Italy, France and Flakkee - the most sunny part of the Netherlands. 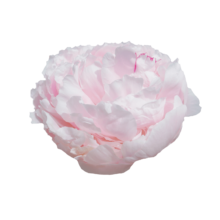 Paeonia Reine Hortense belongs to the most soft pink peonies in our assortment. Reine Hortense is a radiant dark pink peony with dark leaves and strong, red stems. They grow so big in sunny France that we cut them at a length of 80 cm. This peony variety has a strong, clovy fragrance. This peony is a very old French cultivar that was bred in 1857 by Calot. Fun fact: this variety is named after Hortense de Beauharnais, the wife of Louis Napoleon. She called the Netherlands a sunless kingdom forever shrouded in fog. And a lot of sun is precisely what this peony needs. Reine Hortense is a variety that – like other French lactiflora – has bit of difficulty opening. Don’t hesitate to buy them when they’re already starting to show some colour. When the inside of the bud is showing a bright pink colour and the petals are starting to open up a little, the peony is ready to be harvested. Cut the stems diagonally and put it in some lukewarm water. The result? A delightful vase of flowers!